DISCLAIMER: The information contained in these pages is of historical and general information value only. Flight gear for actual use as safety gear must be checked or modified by a qualified life support technician before use. WHAT'S NEW: Latest update 18 SEP 2011 with new information about the Belgian aerobatic team Rode Duivels. Captain Bluelight and his crew welcome you onboard this flight down memory lane. 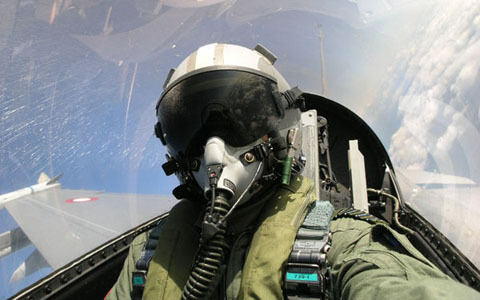 Way back in March 2000 two Dutch guys, Venz and HUD, took the initiative to start a discussion group on flight gear. This site is building on a selection of all the postings that have been made on Egroups Flight gear and later Yahoo!Groups Flight gear, supplemented with other articles and information. They have been arranged according to topic so select from the menu to the left, sit back and enjoy the accumulated wisdom of the group members over the years. PICTURE CREDITS AND COPYRIGHT: Every endeavour has been made to identify copyright and obtain permission to use the pictures shown in these pages. If you feel that your proprietory rights have been infringed please contact the webmaster. No picture may be reproduced without the express permission of the webmaster. COPYRIGHT: ALL PICTURES ON THIS WEBSITE ARE COVERED BY COPYRIGHT AND MAY NOT BE PUBLISHED IN ANY WAY OR FORM WITHOUT SPECIFIC PERMISSION FROM THE WEBMASTER!!!!! The discussions on Flightgear have now migrated to two other fora. One is the online discussion board, Flightgear Forum, and the other is a new group on Yahoo!Groups called flyingclothing. Check them out if you are interested in keeping updated on new and old flightgear.